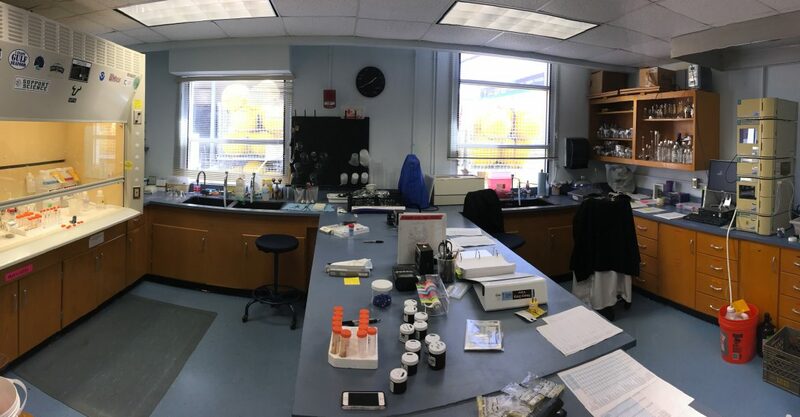 The LC-MS facility is used primarily for measurement of GDGT (glycerol dialkyl glycerol tetraethers (GDGTs) in marine sediments to estimate past ocean temperatures using the TEX-86 paleotemperature proxy. The hardware is amenable to most routine normal- and reverse-phase HPLC techniques. Identification and quantitation of unknowns is accomplished by -FLD, UV/Vis and MS (scanning, SIM, or tandem-MS modes) detectors. Contact: Ethan Goddard for more information or to inquire about collaborative research or analytical services.